Health Benefits of Black Rice - Doctor Hermann M.D.,P.A. Posted on January 13, 2015 January 13, 2015 by Reshma Patel, M.D. Carbohydrates in the diet provide a source of energy for our body and are found in food sources such as fruits, vegetables, and grains. Our body uses these foods to provide glucose (the body’s main energy source) to vital organs such the brain. It is important to remember that not all carbohydrates are created equal. The best carbohydrates are those containing a high amount of fiber, which provide the most amount of nutrients and takes longer to break down into glucose. Refined carbohydrates have been processed to remove the beneficial fiber resulting in a rapid spike in blood sugar levels in the blood. Black rice is among one of the healthy carbohydrate options and has been linked to many health benefits. It turns to a beautiful, deep purple color when cooked and has a sticky appearance with a nutty flavor. It is also known as “Forbidden Rice” as historically it was cultivated in small quantities only for the consumption by the Emperor of China. Scientists at the 240th National Meeting of the America Chemical Society reported that “a spoonful of black rice bran contains more health promoting anthocyanin antioxidants than are found in a spoonful of blueberries, but with less sugar and more fiber and vitamin E antioxidants”. Black rice is also a rich source of iron. Considering the different options for rice, it is well known that brown rice is a healthy alternative to white rice. White rice is stripped of bran which is full of vitamins, minerals and anti-oxidants. Similar to brown rice, black rice is high in nutrients; however, contains even more antioxidants and protein. 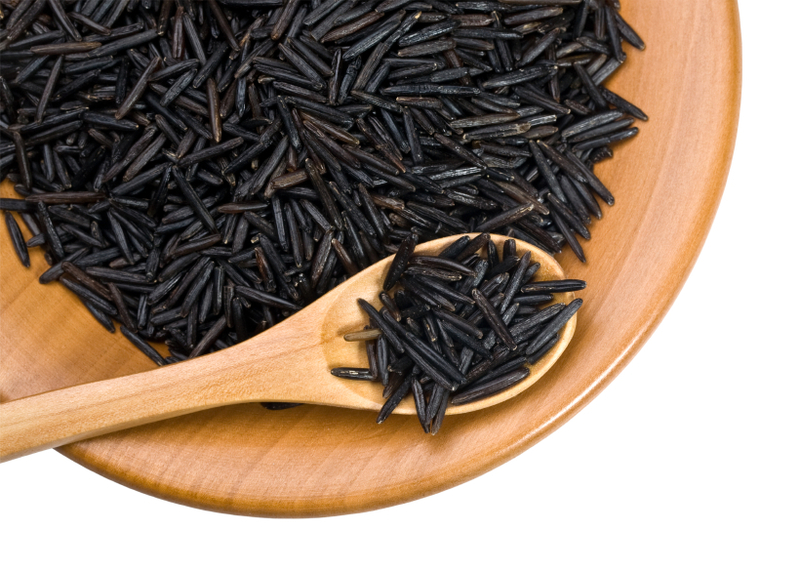 Black rice can be used in cold salads and is a great substitute for white rice and noodles.